Wine enthusiasts often eagerly seek out the newest “hot” producer of domestic Pinot Noir, hoping to be one of the first to spread the word after experiencing the pubescent winery’s first wines. Real connoisseurs of Pinot Noir know that proven wineries that have stood the test of time with consistently world-class Pinot Noir production are ones to focus on. Domaine Drouhin Oregon (DDO), is a perfect example. DDO, owned by Maison Joseph Drouhin, was the first Burgundy house to make wine outside of France in 1988, and continues today as a significant Burgundy presence in Oregon and the New World. Robert Drouhin, struck by the resemblance of the Willamette Valley to the Côte d’Or, and by David Lett’s 1975 The Eyrie Vineyards South Block Reserve Pinot Noir that placed second in a 1979 blind tasting of French burgundies versus their American Pinot Noir counterparts in 1979, initiated the purchase by Maison Joseph Drouhin of 100 acres in the Dundee Hills overlooking the town of Dundee. Robert chose his daughter, Veronique, to direct the new project in Oregon. She oversaw the initial planting of vineyards at DDO in 1988, and crafted the first three vintages, 1988-1990, from purchased grapes. More land was acquired, and today there are 225 estate acres, 124 of which are densely planted to Pinot Noir and Chardonnay. In 1989, a four-level gravity-fed winery was constructed, the first of its kind in Oregon. 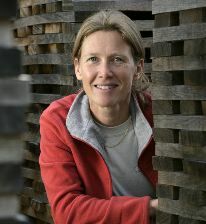 Over the years, Veronique Boss-Drouhin, pictured below, also known as Vero by her friends, has been a long distance winemaker, continuing to live in Beaune, and traveling periodically to Oregon to oversee DDO. Because of the difference in harvest between the Côte d’Or and the Dundee Hills of Oregon, she can supervise crush and fermentation in Beaune in September, overseeing 400,000 cases of Maison Joseph Drouhin wine production, and then fly to Oregon in time for crush which usually arrives in late September or October. The on site assistant winemaker at DDO since 2009, Aaron Bell, works in close association with Veronique. The Pinot Noirs at DDO emphasize balance, finesse and elegance over robustness, and although they can be charming upon release, they age magnificently. The grapes are hand-picked, usually all de-stemmed and indigenous yeasts are employed in long fermentations. Oak character (new oak is at about 20%) is minimized. The wines are aged from 9 to 15 months in French oak barrels custom made in Burgundy (the Cuvée Laurène and Cuvée Louise receive the extra 2 months in barrel)é. Veronique likes to say that the DDO wines are “Burgundian at heart, but with Northwest intensity.” The wines have more extraction and fruitiness than those from Maison Joseph Drouhin, but often less extraction than many other Oregon Pinot Noirs. There are three Pinot Noirs offered at DDO. The Domaine Drouhin Oregon Dundee Hills Pinot Noir (often referred to as “Classique”) has been made from estate and purchased grapes but is now harvest entirely from the Drouhin Family Estate in the Dundee Hills (10,000 cases and is readily accessible. This wine is released 2 years after the vintage. The Domaine Drouhin Oregon Cuvée Laurène Pinot Noir has been made since 1992 and is named after Veronique’s first daughter who was also born in 1992. It was the winery’s first bottling of 100% estate fruit. This has been referred to as the winery’s “flagship wine.” It is a barrel selection with more structure, extraction and age ability (2,000 cases), and is released 3 years after the vintage. The Domaine Drouhin Oregon Cuvée Louise Pinot Noir was first produced in 1999 and is named after Veronique’s youngest daughter. This wine is a special selection of the winemaker’s favorite barrels and is extremely limited (200 cases), and primarily sold to winery club members. The Louise has a little less structure than the Laurène, with more elegance and finesse. Some have likened the three Pinot Noirs to their Burgundy counterparts: Estate = Village level, Cuvée Laurène = Premier Cru level, and Cuvée Louise = Grand Cru level. This is not strictly the case, but rather more Veronique’s stylistic choice. Veronique told me, “For Cuvée Laurène, I look for a wine with good volume, good length, more structure than the Dundee Hills Cuvée, and above all, more aging potential. The goal for Cuvée Louise would be like looking to produce my ‘Musigny,’ the ultimate level of elegance. So the Louise may or may not be as structured as Laurène, but look for the best balance, length and finesse.” Certain blocks on the estate are more appropriate to one or the other blend. Veronique’s recommended drinking windows are as follows. For the Dundee Hills Cuvée, the average time to drink from release is 8-10 years. The average time to drink Cuvée Laurène and Cuvée Louise is 5 to 25 years. Approximate annual production of the three cuvées is 10,000 to 12,000 cases for Dundee Hills Cuvée, 2,500 cases for Cuvée Laurène and 400 cases for Cuvée Louise. 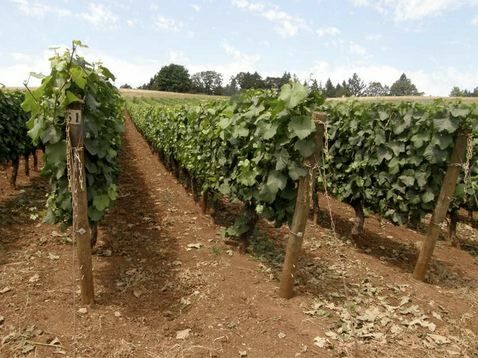 DDO expanded its reach and offerings starting in 2013 when they acquired the Roserock Vineyard, a 279-acre property at the southern tip of the Eola-Amity Hills, with 122 acres of Pinot Noir and Chardonnay. DDO had previously purchased grapes from this vineyard that includes vines dating to 2004. 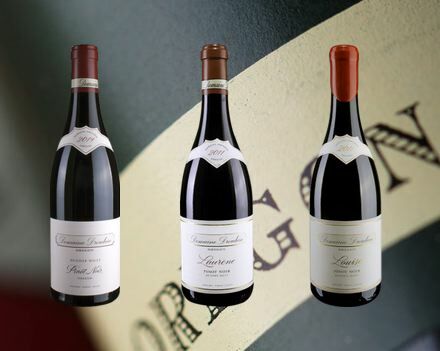 Three inaugural wines were released from RoseRock Drouhin Oregon in 2016 from the 2014 vintage including the 2014 RoseRock Vineyard Chardonnay ($35), the RoseRock Vineyard Pinot Noir ($35), and a deluxe Pinot Noir cuvée named Zéphirine ($60). Zéphirine is a selection of the best barrels from the 2014 vintage chosen by Veronique to express the excitement the winery feels for their new Estate. The wine was previewed in July at the International Pinot Noir Celebration. The Domaine Drouhin Oregon Tasting Room at the winery’s 225-acre estate winery is open daily from 11:00 a.m. to 4:00 p.m.. A tasting flight of five wines, including Chardonnay, is offered ($15). Tours are available everyday except Wednesdays by reservation. For DDO wines, visit www.domainedrouhin.com. For RoseRock Drouhin Oregon wines, visit www.roserockoregon.com. All Domaine Drouhin Oregon Pinot Noirs reviewed here are from the Drouhin Family Estate in the Dundee Hills, Dayton, Oregon. 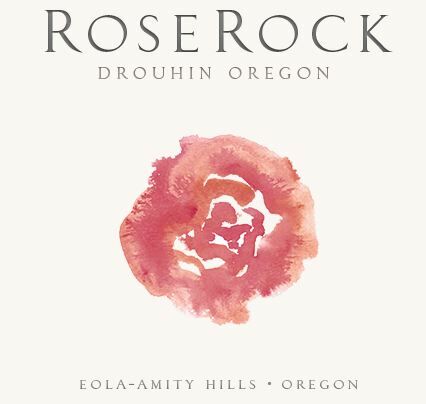 The RoseRock Drouhin Pinot Noir is from the estate Roserock Vineyard in the Eola-Amity Hills.